The word "supervision" can have a negative connotation to those being supervised and leaders alike. 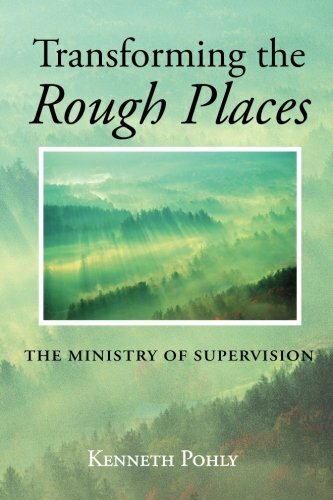 You don't have to read very far in Transforming the Rough Places to realize that there is nothing negative about the supervision that Dr. Pohly describes. The result of years of research and experience, Dr. Pohly's method and rationale offer tools to make supervision a positive experience for all those involved. What he describes is a value-centered leadership style that focuses equally on the ministry or task to be done and the person doing the task. Practicing these skills in supervision can easily enhance all business, ministry, and personal relationships. Discover what it means to lead in a way that can be transformative for the individual and the institution. If you have any questions about this product by Wipf and Stock, contact us by completing and submitting the form below. If you are looking for a specif part number, please include it with your message.